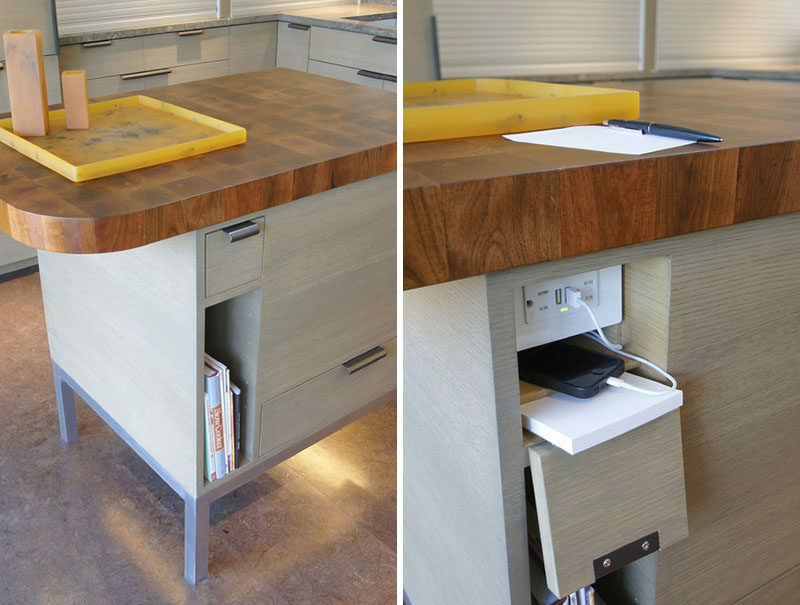 When designing a kitchen, sometimes it’s the little things that make all the difference, like hiding your electrical outlets. When it comes to hiding your outlets there are a number of ways to go about it. 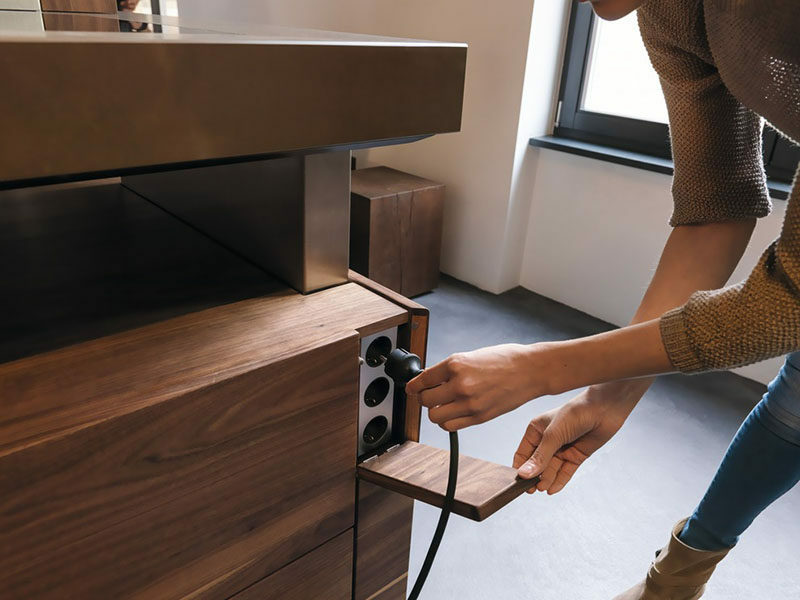 We’ve already covered pop up outlets that remain out of sight until you need them, and today we’re sharing another way to conceal your unsightly outlets using simple covers that match their surroundings. 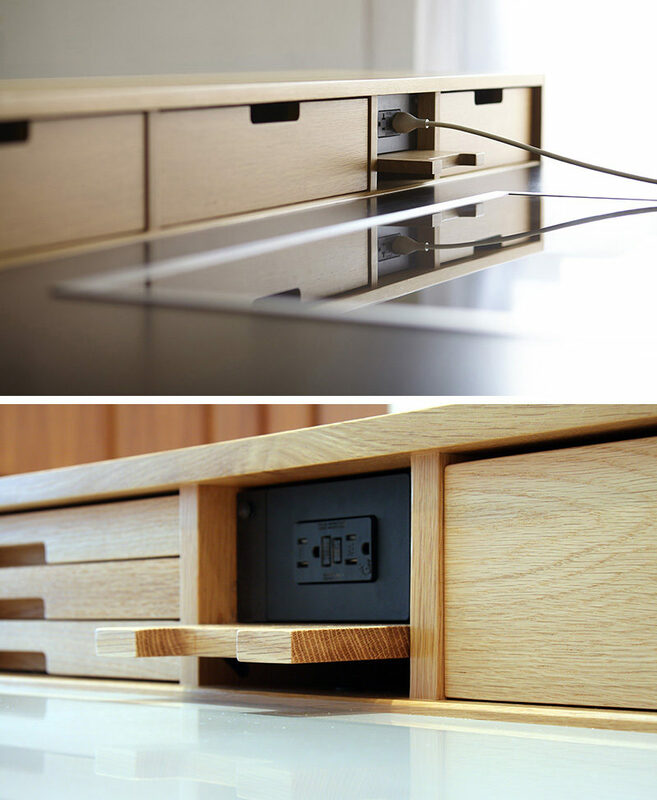 Including outlets with covers in the same material as your cabinetry hides your outlets but keeps them easily accessible for when you need them. 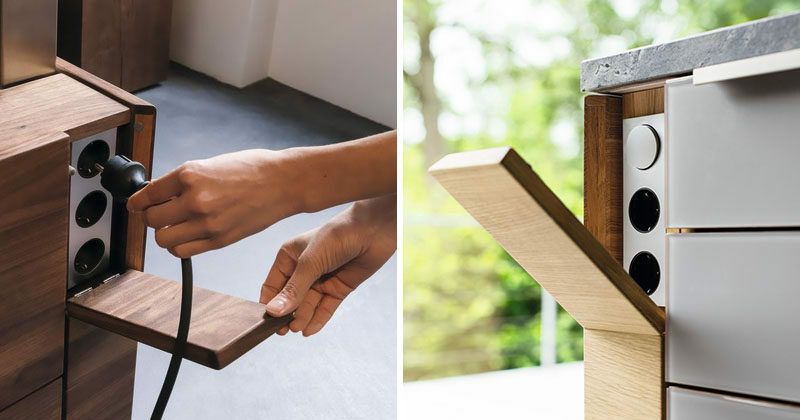 The hinges secure the cover when it’s open and magnets or a small cabinet pull can keep it securely closed when the outlets aren’t being used. Hiding your outlets in this way allows you to keep your walls clear for a more seamless appearance and prevents tiny fingers from making their way into the sockets. 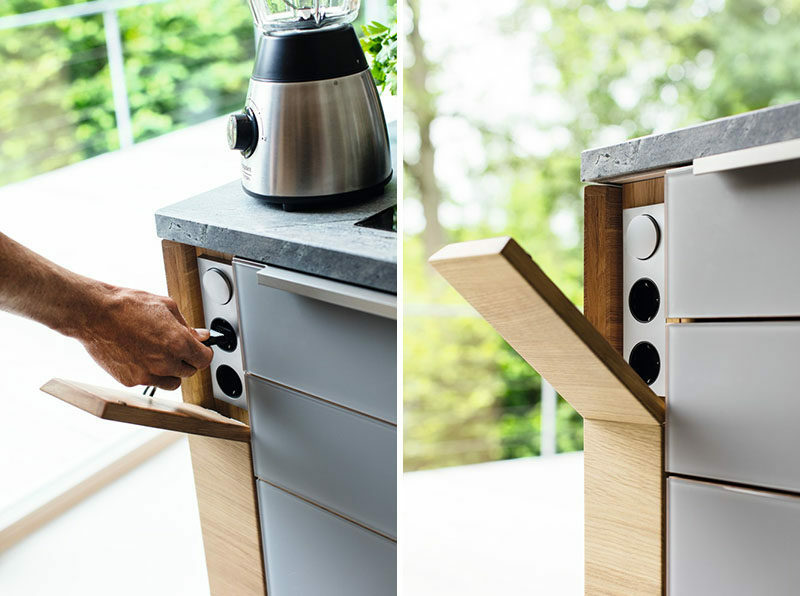 This hidden outlet also has USB ports and a small shelf, perfect for charging your phone while preparing food in the kitchen.